With the help of our hardworking professionals, we are able to undertake Conveyor Fabrication Services. 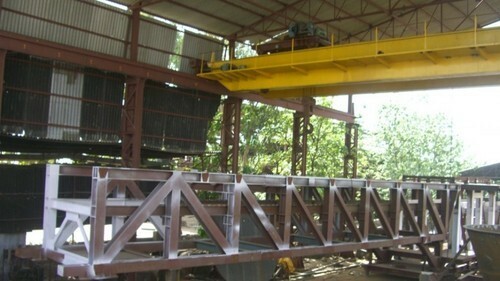 These services are widely appreciated by the patrons for their reliability and timely completion. Moreover, we employ advanced tools and techniques to provide these services at par with global standards. Founded in the year 1982, Microcraft Engineering Work is involved in Manufacturer, Supplier and Service Provider of superior quality Industrial Conveyors, Conveyor Systems, Material Handling Equipment and Shrink Tunnels & Conveyor Spare Parts. Our offered range includes Industrial Conveyors, Conveyor Systems, Material Handling Equipment, Conveyors Fabrication Services and Shrink Tunnels and Conveyor Spare Parts. These are widely used in engineering workshops, rolling mills and many other industries. To produce this fine range of products, we use quality-approved raw material and components, obtained from our trusted vendors. We confine to international safety standards in fabrication of these products. Our organization comprises of different units which includes administration, manufacturing, quality, sales and warehousing department. These products are reputed for their precise and smooth operation, low power consumption and robust construction.